If market leadership is your quest, as a luxury real estate marketing professional it is extremely important to understand the difference between strategy and tactics. 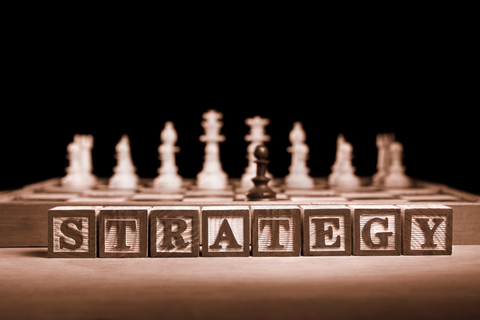 Strategy is the overarching plan to out-think the top producing competitors in your marketplace or niche. Tactics are the specific methods you use to execute your strategy or to generate more business in general. The primary purpose of a strategy is to win top-of-mind status in a category of business or a niche within the category. Studies show that consumers can only hold three companies, service professionals or products in their minds (on average) in any given category or sub-category. Therefore, the battle for mindshare and the resulting market share really only applies to those who desire to be one of the top three contenders in any given category. That is why marketing strategies are only for those who are interested in gaining or sustaining market leadership. Tactics for generating more business without a strategy for securing market leadership in some category can only yield mediocre results. That is because the top three contenders are targeting the lion’s share of the business and winning over the mind’s of the consumers, while all others are fighting over the crumbs. In the unabashed pursuit of market leadership the stakes are always very high and so is the level of gamesmanship, the tactics required to conquer the category. Facebook recently announced a messaging service combined with email that could rival Hotmail (Microsoft) and Gmail (Google). According to comScore, Microsoft is currently the largest provider, with 362 million unique email visitors in September, followed by Yahoo with 273 million. But Google's Gmail is growing fast, with 193 million unique visitors in September. When Facebook launches world-wide in the coming weeks, more than 500 million users of Facebook will have access to the new messaging service. Facebook took a look at the category of web-based email and recognized an “unfair” competitive advantage. A strategy was born to compete with the top three contenders in the category and dismiss one from the top tier. They already have all or most of your contacts in their/your “address book”. Free email like these services represent both an opportunity to promote and grow the company leveraging viral marketing as you and your friends communicate with each other. It also represents a tremendous opportunity to generate advertising revenue. The stakes are extremely high. Facebook also learned that the younger generation, in particular, does not have the patience for email and prefers instant messaging which represents two major strength of the company (younger users and IM). The platform will be primarily used for instant messaging. If you do not want to settle for the battle of the crumbs, as a luxury real estate marketing professional, you must identify an uncontested market niche that you can dominate. Seek out opportunities that you can win, niches that you can serve better than any other competitor in your marketplace.